Undoubtedly, some of the best conditions for practicing winter sports can be found in the Vitosha Mountain. The opportunity to practice winter sports is the largest temptation for our guests during the winter months. 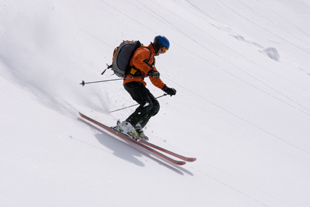 Only 16 km from the Villa Boyana Hotel are the best ski runs and routes for cross-country skiing in Vitosha Mountain. Of course, you can also enjoy a mountain walk among snowy pine trees, as well as do an extreme mountain biking. The variety of winter proposals includes the possibility to visit another resort, Borovetz, which is only one hour drive from the hotel. The incredible Boyana waterfall is located nearby, which offers an exclusive unforgettable experience in the winter. The world famous Boyana church, built at the end of the X and the beginning of XI century is a few minutes away from the hotel. You can see there paintings of 1259 and unique frescoes. It was included in the UNESCO List of World cultural heritage in 1979. At several hundred meters from the hotel is the National Historical Museum, founded in 1973, which is one of the largest museums in Europe. It houses more than 600 000 monuments of culture from prehistoric times to present days.